DVM Blendi Bejdoni is not only our veterinarian but also the project manager of StrayCoCo in Kosovo. He has been part in the SKDCS project (South Kosovo Dog and Cat Shelter) and has a rich and exceptional experience in CNVR-campaigns. He studied in Tirana/Albania (as did his wife Eriola Palla Bejdoni), is specialized on small animals, is living in Gjakova and working in the animal clinic Pro Vet at Nagavc. Some dogs live continually in the shelter of the clinic as they are handicapt and not able to survive in the streets. This Foundation will be our closest partner, specially concerning the planned Mobile Animal Clinic of Kosovo. Our most important regular contacts are to the CEO Dr. Valdet Gjinovci of Food & Veterinary Administration Kosovo. Our Partner PRO VET signed a contract with the Municipality of Gjakova in summer 2015. Since then we are continually doing CNVR in this city, controlled by the Veterinary Inspector. Since Autumn 2018 CNVR program with Straydogs and owned dog castrations and treatments. 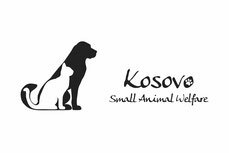 Founded in April 2018 this Foundation "Animal Rights " in Kosovo can be with the time one of the most powerful NGOs there. Kosovo has a few laws for animals, but not clearly specified for pets. Furthermore no one cares what is the law. For example dog fights are forbidden, but police will not stop them. Cruelness towards animals is forbidden, but who cares? We hope that the Animal Rights Foundation will find ways to make the law "exist" and to be applied by the administrations, the police and the courts, also concerning Pets! Thank you to Susy Utzinger Foundation for her consulting about Animal shelters and for sharing her Booklet for children with us (This booklet for children is published in shqip and available at Pro Vet Nagavc - or per e-mail: blendibejdoni@hotmail.com. 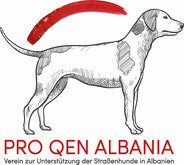 PRO QEN ALBANIA is a small Austrian Association in GRAZ-A. Pro Qen Albania is represented by its president Erza Cermjani, living in Graz and actually teaching in Shkodra/Albania. Together with the local Veterinarian Dr. med. vet. Rubin Piranaj we contribute to a reduction of the stray dog population with regular CNVR work. 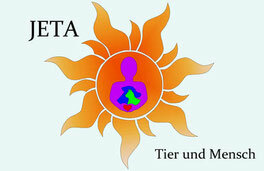 With this Swiss Association we built up a cooperation for CNVR in Fieri/Albania. Together with their local Veterinarian DVM Artenis Limoj we vaccinate and castrate stray dogs from this town since beginning of 2017.